Play Mega Joker™ at Slotpark now and win! Mega Joker™ is a Vegas slot that features up to 40 lines on which you can land winning combos for huge wins. With the special Scatter Star and the Joker symbol that both have the power to multiply your stake into the thousands, this slot from Novomatic has been a secret fan favourite for ages. The Joker is the Wild symbol in Mega Joker™. He can substitute for every other symbol except for the Scatter to complete a winning combination along one of the win lines. The golden Star is the Scatter symbol in Mega Joker™. If it appears five times along an active line, it can land you 16,000 times your stake. Mega Joker™ pulls no punches! Do you love slots with plenty of win lines and freely-adjustable stakes? Then Mega Joker™ is the game for you! We’ve overhauled the successful Novomatic title to make it available on modern devices. Plus, we’ve brought in independent institutes to ensure it delivers exactly what it promises. And the results are impressive! With a return to player rate of over 95% and a Scatter that multiplies your bet by 16,000, nothing stands between you and your new record win. You can adjust not only your stake for every round, but also the number of win lines, enabling you to refine your gaming strategy as you play. There’s also no shortage of winning symbols. 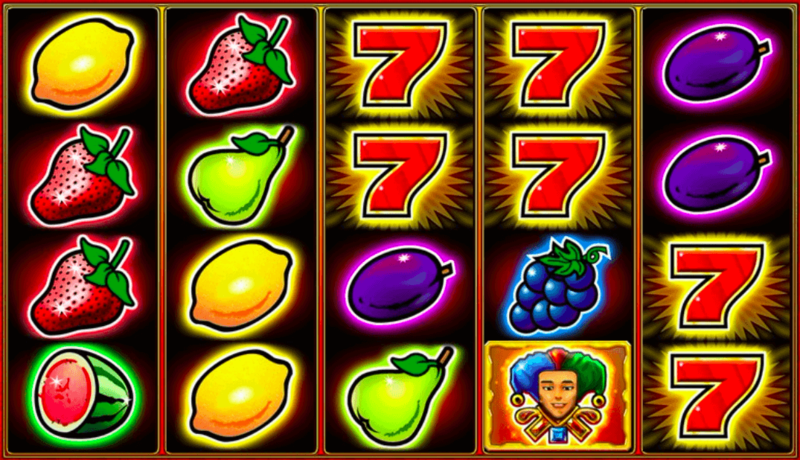 Fans of classic Vegas slots won’t be disappointed, for this game features fruits galore. Cherries, Plums, Lemons and Oranges form the first group that will boost your balance as soon as three or more matching symbols appear on a win line. 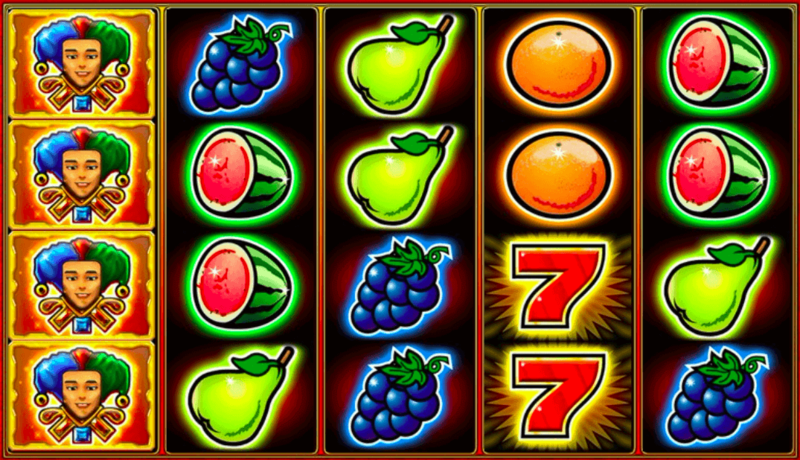 Next up are the Grapes and Melons which deliver over 50% higher winnings for five matching symbols. Pears and Strawberries are even more lucrative when it comes to multiplying your stake, with winnings twice as big as those achieved with Oranges and Lemons. 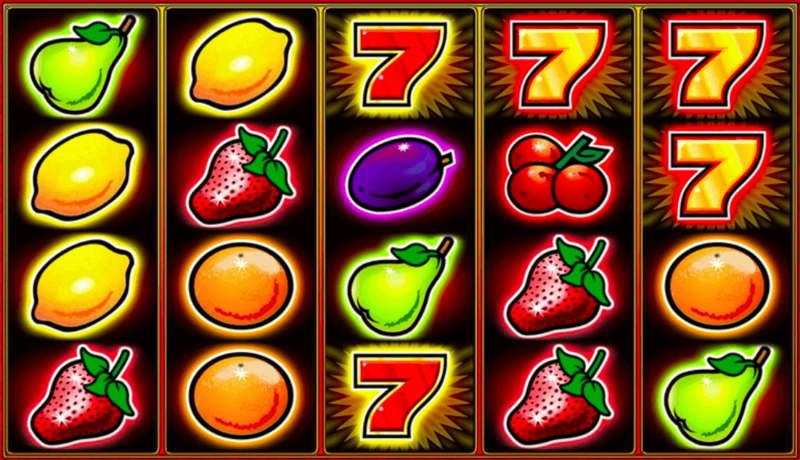 The shiny 7s are the rarest of the regular winning symbols, but if you manage to get five of them along a win line, you’ll get double what the Pears and Strawberries deliver. 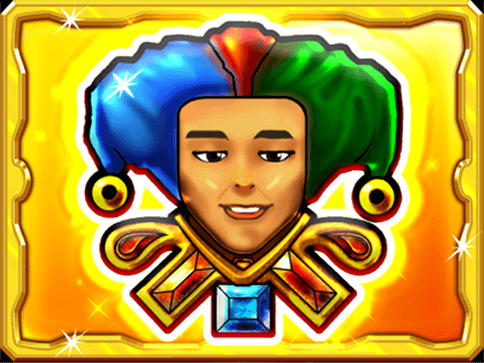 As a Wild symbol, the Joker plays a crucial role in this Novomatic slot. Five of his symbol on the reels means winnings five times greater than with the 7s for your account. Moreover, his status as a Wild allows him to substitute for every other symbol – except for the Scatter – to help you complete winning combos. So, he really comes in handy when not all of the win lines are activated. 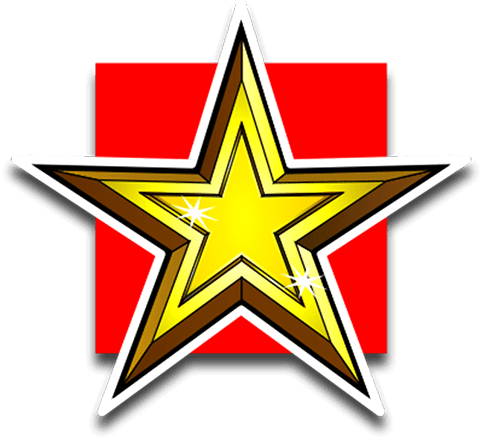 The golden Star is the Scatter symbol in Mega Joker™. Three of them along a win line land you an impressive 160 times your stake. But that’s just the beginning, for the multiplier can increase. Get five Stars on the reels and you’ll have to brace yourself, for a multiplier of x16,000 will catapult your winnings into a new dimension. And as if that were not enough, the slot also features a gamble mode. Simply click on the button at the bottom of the screen and you can double your win in an instant. This mini game begins with a deck of cards that is shuffled and placed in front of you. A few of the cards are then dealt facing up. Your job is to correctly predict which colour the next card in the deck will be. Get it right and you’ll double the winnings from the round. But if you guess incorrectly, the round winnings will be lost. Mega Joker™ is one of those slots that delivers all of the highlights of casino gaming. Stunning visuals, easy to follow game mechanics, and more than enough possibilities to influence the course of the game. 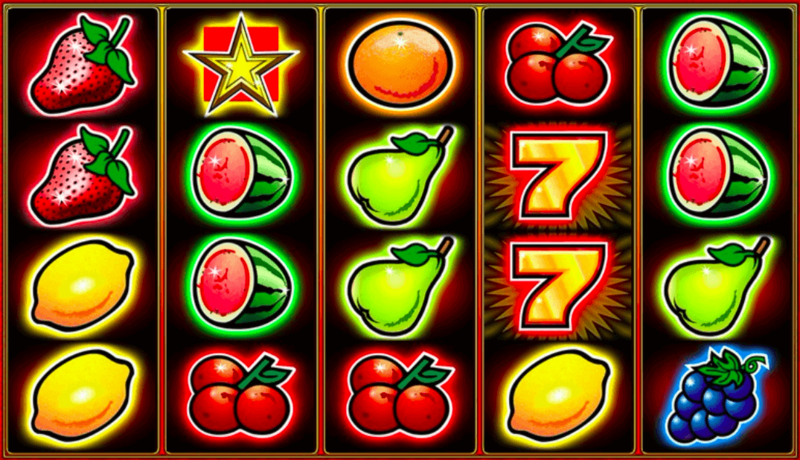 Thanks to the high multipliers of the Star and Joker symbols, you can win big even with the most modest stakes. And the RTP (return to player rate) of over 95% guarantees hours of gaming fun. Plus, you can try out this hit slot free of charge at Slotpark whenever you wish. Social gaming at its best!